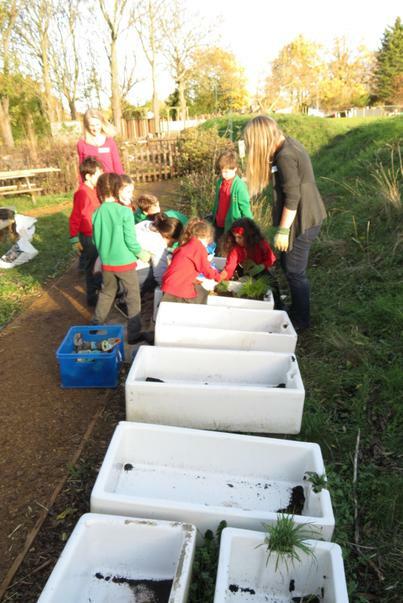 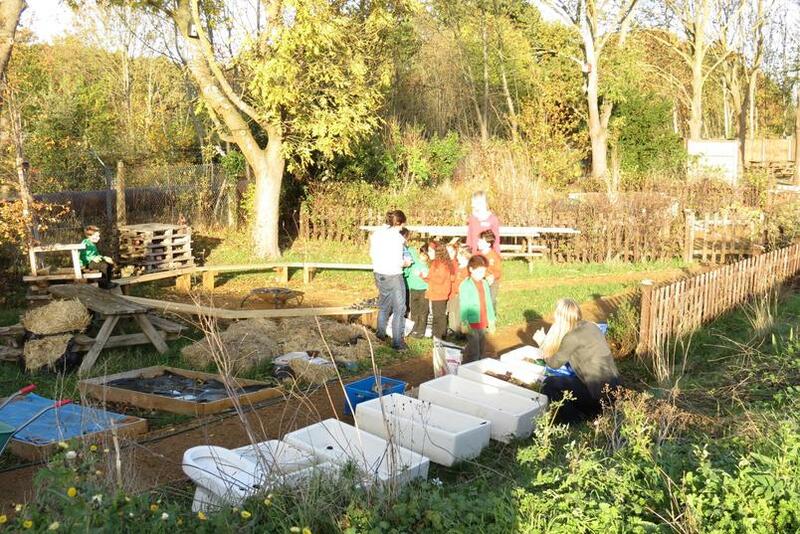 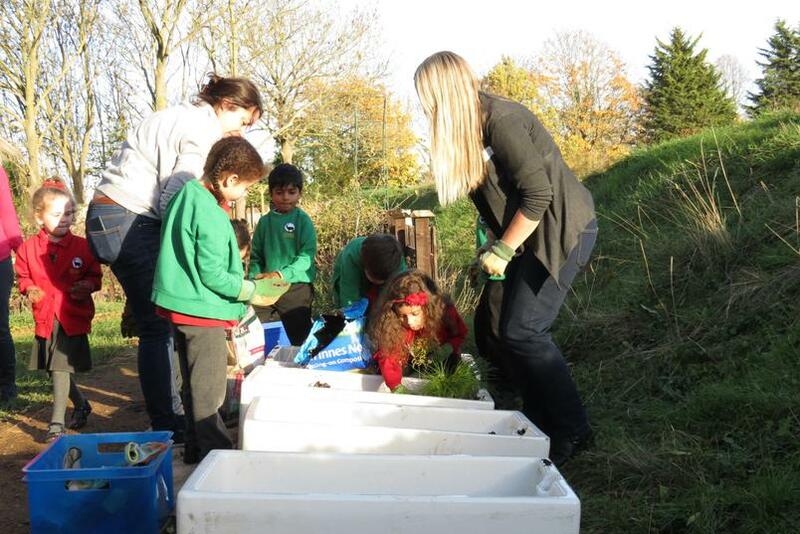 After all the good work on the Living Classroom on Dig Day, Sarah Chipperfield and her fellow volunteers have been doing some great work with Year 1. 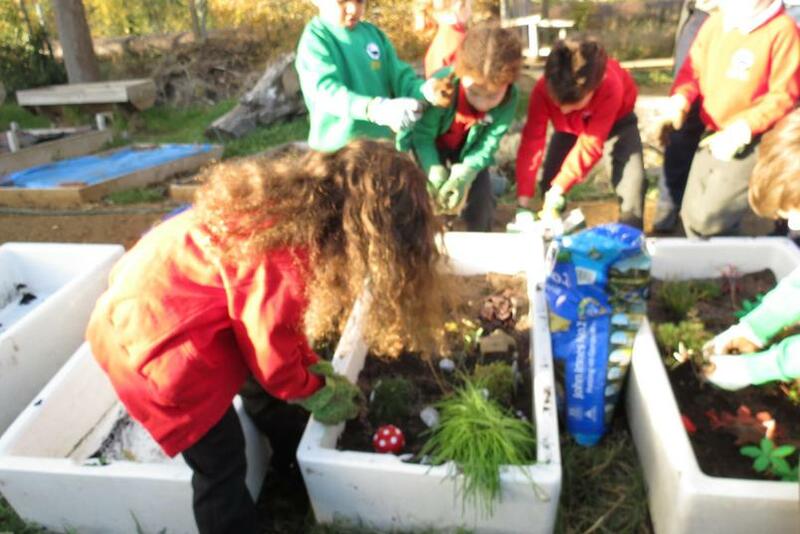 "This year we are working with the Year 1 children to create some lovely Fairy and Dinosaur gardens in the Belfast sinks located in the Living Classroom. 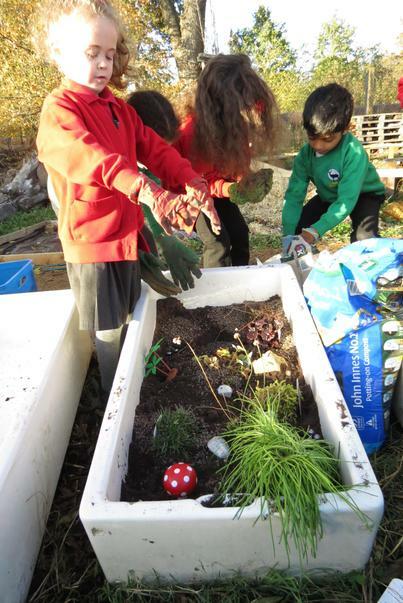 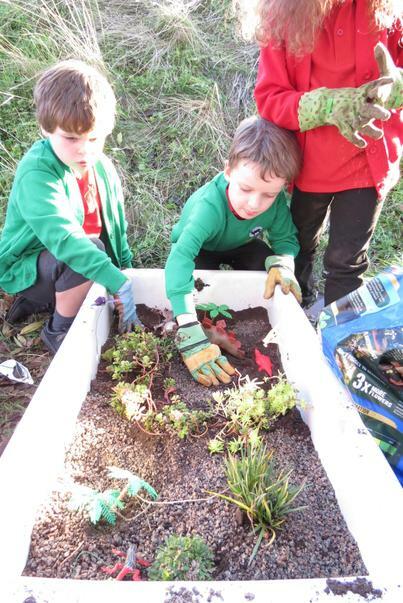 The children have been helping to weed the sinks, prepare the soil, plant some alpine plants and decorate their sinks with fairies, dinosaurs, pebbles and all sorts of lovely magical objects! 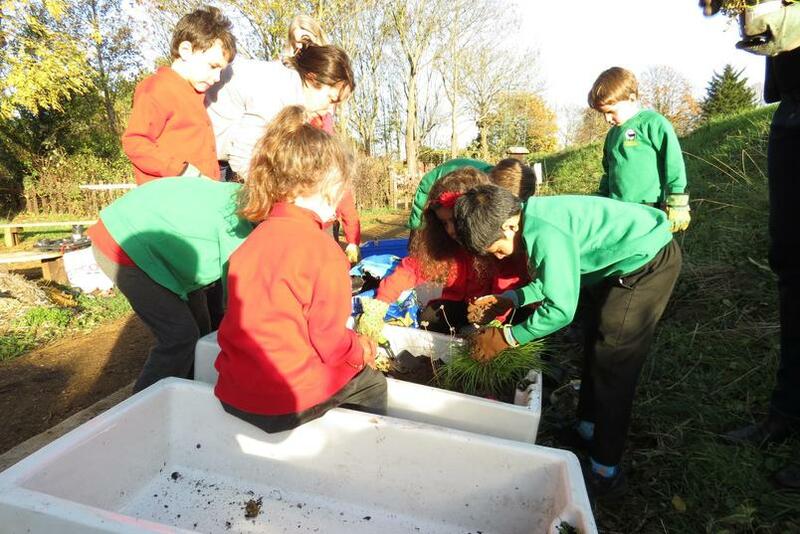 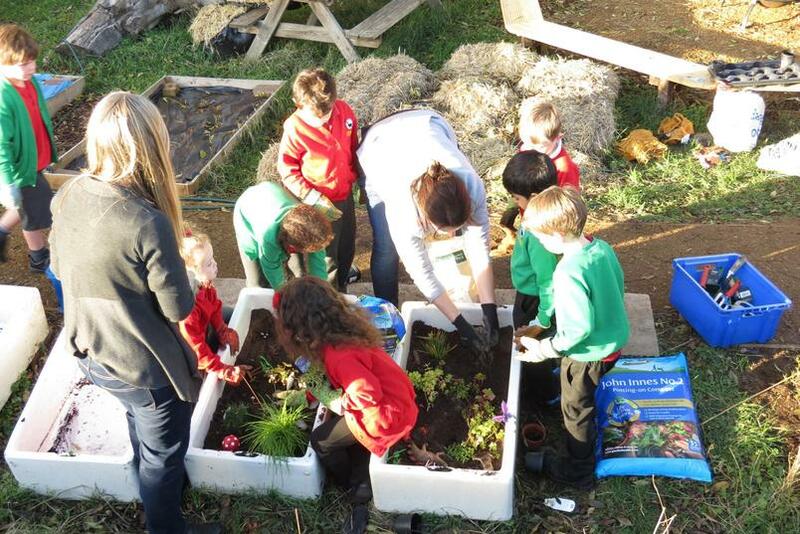 As well as a great introduction to planting, we are also hoping to use the project for some RHS School Gardening awards for our green fingers children! 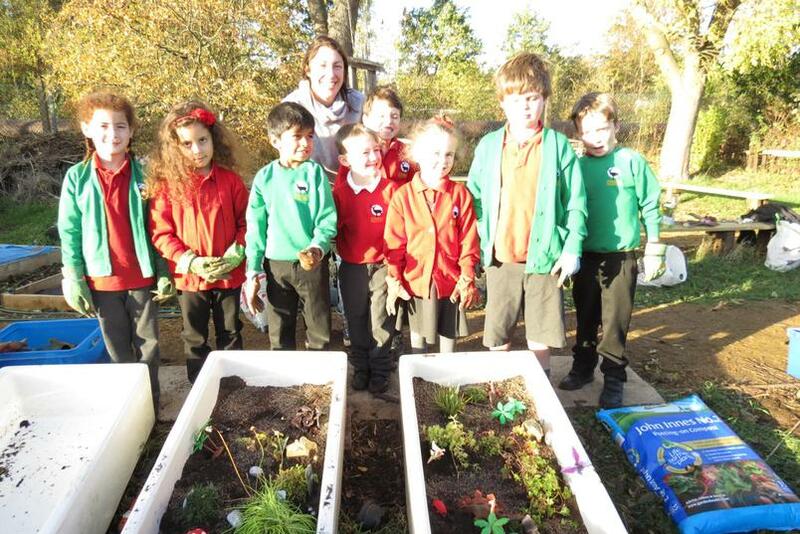 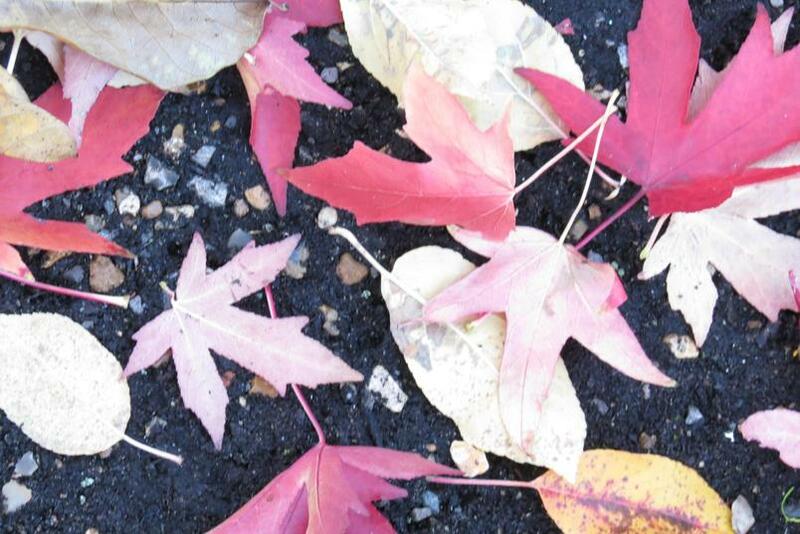 We are enormously grateful to Percy Chapman and Son Ltd who were very generous and donated all of the plants. 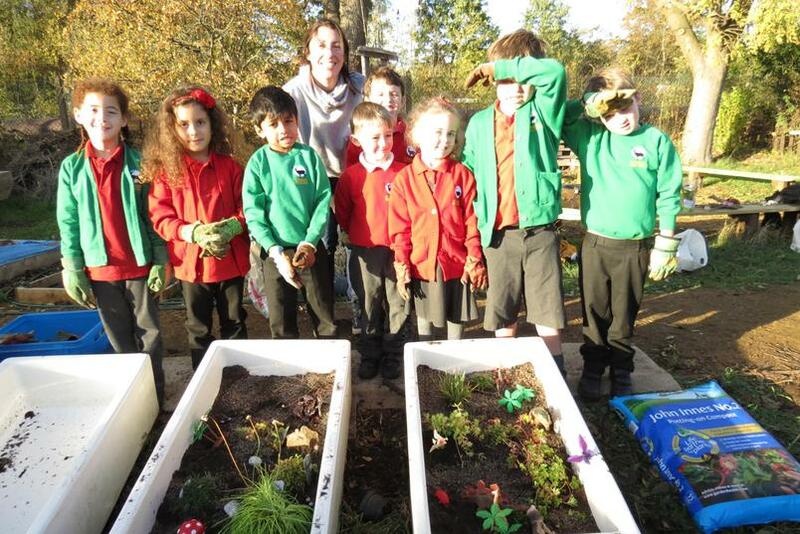 We are hoping that these planters will grow and look beautiful for many years to come!" 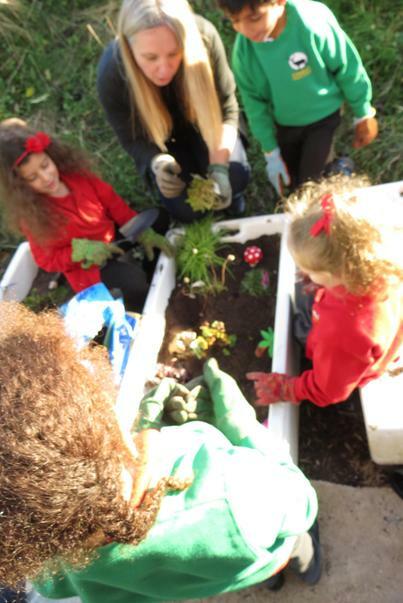 Thank you Sarah and the Fairy Gardens team!